Microsoft co-founder Bill Gates has said digital currencies could have an impact on global remittances, but suggested that bitcoin isn’t the best application of the technology. 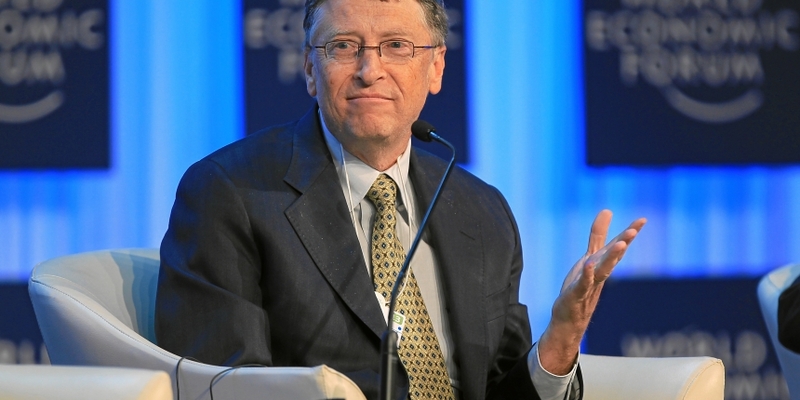 Gates, speaking with Backchannel before the release of the Bill and Melinda Gates Foundation’s annual letter, spoke about a number of subjects, including the role of mobile technology in developing economies and artificial intelligence. When asked about digital currencies like bitcoin and the technology’s ability to deliver cheaper global transactions, Gates said he thinks bitcoin will not be the distributed payment system used in the future, but that it holds the potential to make a huge impact nonetheless. Gates has offered a cautiously optimistic viewpoint on bitcoin in the past. He told Bloomberg TV in October that while bitcoin is “exciting”, he sees problems with the digital currency’s existing political complications. In February, Gates suggested that his organization is interested in developing and promoting new digital transaction methods. Gates told Backchannel that while bitcoin and its underlying technology can make transactions easier to move – and cheaper to do so – he believes problems like the fluctuation of value and a lack of transaction reversibility within the network are significant barriers to broader adoption. “We need things that draw on the revolution of bitcoin, but bitcoin alone is not good enough,” he concluded.